You will be missed, Tim- for your music, for your smile. "Your memory will never fade into darkness"! Can't believe you are gone. But your music is still with us. I never really got into your music until this year It's been a pretty hard year and your music gives me the strength to go on. I've wanted to remix Levels for a while now and I might finally do it. All I can say is, thank you. Why did you have to leave us so soon? I love you so much bro. I love you! You are missed. I've seen Tim perform at Sky City Festival (August 2014) and Tomorrowland (July 2015). Sky City was M A G I C. My first ever song I heard of Tim was, probably like a lot of people, Levels. Right then I knew I had to follow Tim's music, purchased both True and Stories on iTunes on the release. Tim, thank you for your music and every bit of inspiration I could feed of of your music, social media and anything else. So sad to see you go. I didn't know about this until just now. Your an incredible artist, your music will live on forever! Legends never die. RIP Avicii. Con cariño, respeto y afecto para una persona que, mediante su música, despertó en mí sensaciones maravillosas y únicas. Gracias por todo Avicii. Dude! I miss you bro. Writing "thank you" should be enough, cause what you did will be always part of something beautiful in my youth. I hope you will find your happiness up there. Good Bye again, forever, Tim. My memories will be painted by the soul of your songs. Su música me daba paz, quizá pueda entender lo que pasaba por su cabeza. Sufro de depresión y ansiedad desde los 13 años, sólo puedo decir Gracias Tim, encontré motivación para seguir viviendo en tu música, en tus letras, Sigo sin creerlo, no puedo contener las lágrimas al escucharte, nunca había sentido una conexión tan grande con un artista. Buen viaje Artista, porque eso fuiste y serás, simple MAGIA. Es una gran lastima haberte perdido, un icono en el Dance para todo el mundo, un DJ que nunca va a pasar de moda, mis grandes respetos parcero. Paz en tu tumba. You & your music is very special for me and very close to heart.So much proud to you. I wish for you that you will come back soon..Rest in Peace Avicii.. Probably one of my most favorite artists that got me to love EDM. Music will never be comparable to that Avicii uniqueness. It just makes me wonder what songs he had planned, and I just wish I could somehow hear them, Thank you for the music that got me through homework, breakups and so much more. Live a life you will remember. My connection to Avicii was established with the album Stories and a love story that accompanied me for a long time during my studies. True Believer was a song for me that sounded as if it had been written directly for me. I heard stories in the loop. It was uplifting and melodically catchy, and while it makes no effort to hide life's hardship, it promises moments in the sun. So whether you're waiting for love or holding out for a better day, avicii offered me these Stories of silver lining. I'm hurt I'm alone I'm depressed I cry myself to sleep All because of you Avicii We love you We miss you R.I.P Avicii. As a little kid, I had a hard time getting a long with my brother and cousin, both of them being older than me they excluded me from every activity they’d do. Then, we found wake me up and all three of us immediately bonded over that song. Years later I fell in love with someone, and I just remember hearing waiting for love while i was thinking about him. Both of this memories have marked my life immensely, and it’s all thanks to Tim. We’ll never forget you, legend. Tim du kommer föralltid vara min stora idol. Vi saknar dig! To čo je Queen v rockovej hudbe je pre nás Avicii v elektronickej. Každý song originál, žiadne kopírovanie, silna energia, radosť do života, dotyk nebies...songy si ktoré možeme hrať vždy...keď je nám veselo i keď je nám smutno...hudobný genius ! Hudba čo spája ľudí! To je AVICII ! I remember when I first heard Wake Me Up on the radio. I would dance in the back seat of my mom's car every time that song played. As I grew older, Tim became an influential part of my life. Any time I was sad, I would listen to his songs to cheer me up. If I ever make music, I want my music to make people dance just like his music did. Thank you Tim, for inspiring me to live my dreams and blessing us with your incredible music. It will live on forever. I promise. Rest in peace. I miss u. Your music meant the world to me. I had a lot of emotional problems in my life and your music kept me alive. Thank you for making such a great music and thank you for bringing joy into my life. You will never be forgotten- your music will always be remembered and I will live on, listening to your music, forever. You will always be loved and I miss you so much. And you are always alive. i love his songs his music is my inspiration for my life to keep it on a bright path and all his music will live on. thank you avicii for what you did and bringing everyone together. I feel your music in every part of me and then listen to the layers and journeys and intense details. Saying you are a genius isn’t enough. I miss you so much, it is heartbreaking to know you have gone to a better place. I remember the time when I got myself and my friend addicted to your song, and made my dad listened to your music. They all love it and I am so happy because I knew your music are amazing and just touch my heart. Miss you so much and I am so happy that you are now in a better place, hope you can make beautiful music above the sky. I will always be sad that I never got the chance to see Avicii live. But “Wake Me Up’ is a very meaningful song in my life that became popular and one of my favorite songs around the time I decided to start my new life in a new city. For that, thank you Avicii for being the soundtrack for a very signficant moment in my life. You will forever be remembered and missed. RIP. I was 13 when I first started to listening to Avicii, I am now 21. Don't know what I would be doing if he never introduced me to dance music. Hope he knows how much everyone loved him. Hi Tim, this is a message for you. Yes, you. I’m a belgian girl & I’am listening your music since the beginning. Let’s start to say that I’m so proud on what you have reached! It was after your death that I felt a connection between us. I was so sad because of your death and no one understands why. Neither did I, untill a few months ago. Your music describes my life, how I feel and how I need to live in the futur. I learned to enjoy life, so thank you for that Tim! You have earned your rest, ly. Here again Tim. Simply because I made myself a promise that every time I think of you i’ll post something to remind me of you; Godspeed. Re-watched True Stories today and realised you were too good for this world. I wish you had known how amazing you were. RIP always in my heart. Ты, и твоя музыка - навсегда в наших сердцах. Легенды не умирают! WE WON'T FADE INTO DARKNESS.. Loveyou man! His music always joined me since I was little, every once in a while I would remember his old hits. It will live forever. Everything began with Blessed. After the last day of school I came home and started listening to Blessed. I was just 10 years old. A friend of mine suddenly came over and was crying. He said that he saw his father hanging on a Rope. My Mom instantaneously knew what was going on and called the Police. I was just to young to understand what really happened. It took some time until I finally understood that my friends' father hanged himself while I was listening to Blessed. 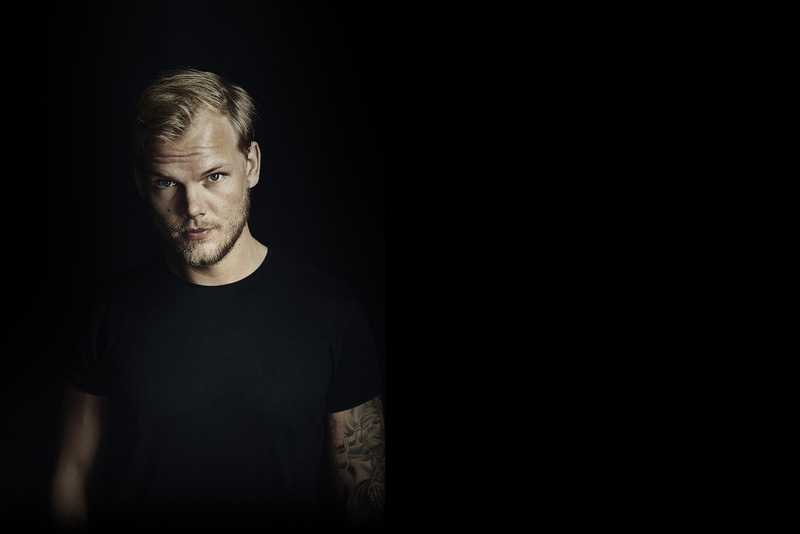 May he and Avicii R.I.P. Many years ago, I started listening to EDM. I was in love with those happy songs. Those lyrics talking about love, about unity, about loosing it all and about getting bigger once again. Lots of years later I'm starting step by step my own career into the music production. Thanks to some people who have been showing to me what this really is. That it's all about the passion, about the love and about feeling together. And I'm so proud Avicii was one of those men. You'll be FOREVER in our hearts. I do not believe he died, I still do not accept this idea, but it is the most humiliating in the world. Still breaks my heart that you left us. May you find peace where you arer now. He would be always remembered although it’s already months from his death. It is heartbreaking to see such a amazing musician taking his own life. I salute you! When I was trying to conceal issues I had, while managing the stress of school and general life, Avicii was an outlet. I could fall into a world that was soundtracked with positivity with the refreshing ingenuity of his music. The music was like a guardian angel that understood me and what I needed to do to move on and find happiness. I am forever grateful to Tim for helping me get through this time and creating timeless music that is an ongoing inspiration. Avicii was a amazing dj. His music is great and it´s really a shame that he´s gone... But we´ll never forget him!!! "Life is a game for everyone, and the love is the prize". Thank You, Avicii. Because You're the reason why I fell in love with EDM, mainly progessive house. You left all of us, but your music will always reverberate in the world. I know you will be in a good place. I am not a very old fan of Avicii since I started to listen to his music for only a year. His music supported, inspired me when I was in a hard time. It is his music that save me from depressive disorder. I got my very first tattoo "AVICII" on September 8th. Not until the next day that I found out it was the same day which Tim was born. You will always be my light. Love you Tim. He was and is one of the best artists in the whole world. His music was unique.He was a very humble person. I hope his soul is at peace .I was not the biggest fan but still I loved him a lot.He tried to perfect his music by working day and night and made beautiful music. I love you Tim. I wish his family good health and happiness.